The Prince of some foreign (and unknown) country, Raj Kumar said to himself the other day. He was elegantly standing (which means standing with the left hand tucked in your pocket and the upper body slightly inclining towards the right side) before the most famous restaurant of the city he had come to investigate, with his sidekick Montri Putro, son of the chief minister, at his, side. The restaurant was named 'The Meghna Hotel and Restaurant' and had some steaks and grills hanging at the front. The reason of the future king's astonishment was the big nameplate of the restaurant which depicted a very healthy Black Bengal Goat grinning broadly. “One, two, three...whoa I can count at least up to ten teeth! Can you believe it?” said Kumar. “Hardly surprising, your highness, since the goat is really smiling ear to ear, and had there been no lack of counting ability on your part you could have counted at least to 23,” Montri Putro replied in his usual sarcastic tone. The future king took the jab sportingly for the two of them were very friendly, or as friendly as they could be keeping in mind their royal statuses. 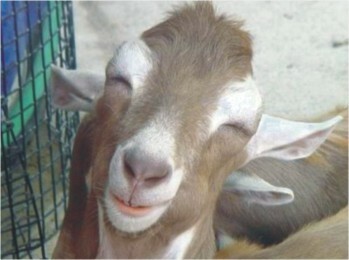 But how come a goat could smile like that? The prince knew for a fact that only those gifted with proper eyesight and an intelligent mind can smile like that. The complexities involving extending the two ends of the lips upwards i.e. making a smiling face is far too great for a goat. Goats don't laugh. Goats shouldn't laugh. Goats must NEVER laugh. Yet the goat on the signboard laughed. “Maybe it is thinking of some philosophical issues. Like why the earth rotates or why the flowers bloom,” the Prince wondered aloud. “Or thinking about why the chicken walked on the footpath. Hold on, you laugh when you think about philosophy?” asked Montri Putro. “Maybe it has a Facebook account and is thinking of a new status update,” Raj Kumar said hopefully, ignoring Montri again. “Oh very clever, O Prince! Looks like you still hold a grudge for the last time when no one 'lyked' your status update, let alone comment on it,” said the sidekick. The Prince again ignored this. “But what other reasons can make it smile like that?” he asked. The prince knew for a fact that goats are generally very happy creatures. There aren't many things between heaven and earth that they can't eat, or rather don't eat. It is safe to assume that they can digest them too, because the Prince never saw goat droppings amassing to the size rivalling that of cows or other four-footed mammals. Aren't abundant food and healthy stomachs enough to make a goat happy? Yet this smile was different. It was not out of contentment. It was the smile of a winner; the prince had seen the same smile on his sister, Princess Raj Konna's face when she beat him in a game of snakes and ladders. Yes, this must be it. of the Being the proud mascot restaurant it must be cherishing its victory over the human models. The fashion trend of having a curly goatee must have inspired it too. The prince heard people of the city comparing each other with goats and many of their actions. Imagine the honour for a goat to be compared with an evolved ape! No wonder it was gleeful. When the prince was gulping down the mutton chop he was shedding tears of appreciation for the goat, its sleek black fur and the humbleness. At least that's what his sidekick thought. HAPPY Shab-e-Barat! 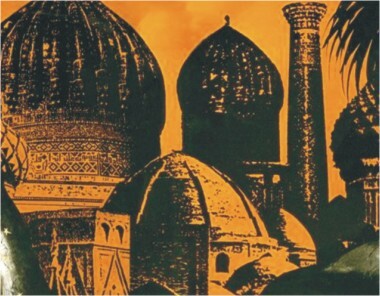 Wishing you a wonderful night...” a picture of a full moon between two minarets. He flipped the card over. The Hallmark logo was firmly printed on the back. Since when were there cards for Shab-e-Barat? He wondered. He tossed it onto the table and put a huge spoonful of pasta into his already overstuffed mouth. The maid was still waiting expectantly outside the door. It was then that he realised that they were supposed to send something back for the auntie who had taken the trouble of sending over pasta. Last night's chicken rolls were hastily microwaved. That taken care of, he settled down in front of the computer. Thirty-eight of his friends had written on his Facebook wall to wish him an auspicious night. A couple of them had even sent him virtual treats. “Too bad I can't actually eat that”, he chuckled, looking at a particularly chocolaty cake that had popped up on his screen. Bored with Facebook, he logged out. Abbu was still at the meeting. He went to find Amma. She was in her room, reading aloud from the prayer book that he had seen since he was a toddler. She looked up and closed the book when she saw him come in. “Baba, do you know what night this is?” she asked, dreading the answer. “Yeah. It's Shab-e-Barat. Some of my friends wished me on Facebook.” She smiled thinly. At least he knew, she thought. “Amma, how come you don't make halwa anymore?” he finally asked, thinking about the rainbow-coloured blocks of sweetness that he used to gorge on when he was younger. She sighed. “It was different before.” He remembers... Back then, they used to live in a house with his cousins living on the floor below. They also knew the kids who lived next door. They would all play cricket in the field behind the house. Just before Maghreb, they would come inside to wash up and have a snack. Then they would troop to the mosque together, with the uncles joining them. Meanwhile the mothers would be busy at home. In the evenings, they would surprise each other with their creations, sending the younger ones over with their best roti and halwa. Later, recipes would be swapped as they chatted on the veranda in the cool night air. They would feast on the offerings from neighbours when the men got back from the mosque. Food would be distributed among beggars and they would gratefully bless the family in return. And then there were the fireworks. Red, green and gold, they would light up the night sky just as they lit up the children's faces. He remembered how the explosions of happiness would punctuate the darkness, and they, younger then, would squeal and giggle in delight. When the fireworks ran out, they would return home, ready for a long night of praying together with the family. Even at 3am, the city would be awake, buzzing softly, counting prayer beads. He snapped back to the present. “Amma, please make some tonight-just for old times' sake”. There was longing in his voice. Amma smiled. “It's too late to start making halwa now. I had no idea you missed it so much! Maybe you can go out and buy some...” she reached for her purse. “Nah, forget it. It won't be the same.” He left the room. It was 12:30. Abbu still hadn't returned home. Even on a night when everyone was at home praying, there was traffic jam, he thought bitterly. He started his prayers alone. Momtaj's evergreen 'Bukta Faitte Jay' played from the construction site across the road. Ignoring it, he tried to concentrate on his tilawaat. He must have dozed off at some point, as he found himself waking up when Abbu rang the doorbell at 2am. He was dressed in a white Panjabi with matching pyjamas. “Where have you been?” he asked in surprise. “At the masjid, of course”, Abbu replied, equally surprised. “Um, Abbu,” he asked, “do you think it's too late to go there now?” “No, of course not. Your Boro Chacha is going to stay there the entire night.” He lost no time in putting his tupi on and leaving. He had never seen the masjid this lively before. He embraced Boro Chacha as they settled down together for prayers. He listened to the Imam with his lyrical preaching. In one corner, someone was handing out halwa. It tasted horrible, made with powdered milk rather than the real thing. Although he was a city kid, he noticed the difference. Amma always made a point of using fresh milk in her halwas. But at least somebody had remembered, he thought. And yes, there were fireworks. The rooftops might have been silent tonight, but the masjid's courtyard was ablaze with them, the little madrasa boys setting off sparklers every now and then. He came home after Fajr. So yes, things had changed, he thought, looking at the card still lying on the table. He straightened it up a bit. But not entirely for the worse. He put the dish of half-eaten pasta into the microwave and logged into Facebook. His status needed changing. It now read: “a very happy Shab-e-Barat to all my friends!” So maybe we do things differently now. But in the end, it's still Shab-e-Barat, right? A firecracker boomed and sparkled in reply.